While Warsaw is generally well linked with both the outside world and the rest of Poland, both road and rail networks have all undergone major regeneration work recently (in part thanks to Warsaw's hosting of the Euro 2012 football championships). 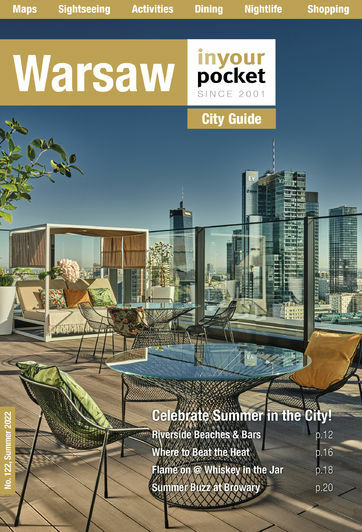 The city's two major airports have also recently undergone major renovations and now arriving in Warsaw is as streamlined as it's ever been. If you come to Warsaw by bus, odds are you'll be landing at the main bus station on Al. Jerozolimskie, while budget options like FlixBus drop passengers off a short distance from Metro Młociny. Warsaw is located in the heart of the country and has extensive road links with other major Polish cities. Having said that the competition on the road's front isn't fierce. Roads leading into Warsaw tend to be of decent dual carriageway standard, though once you enter the city limits Warsaw traffic can become a serious problem - particularly during the week. Most major hotels are located in the central area and you should be heading in most cases for the Central Train Station (Dworzec Warszawa Centralna) and its neighbour, the Palace of Culture (PKiN). Parking in the central area is generally available on-street where there are standard parking charges payable at roadside machines. Most major hotels will offer some form of off-road guarded parking. Be warned that Polish driving behaviour is not the best, especially comparing to driving in western Europe. Indeed, Poland is one of Europe’s leading nations in road fatalities, a statistic that will surprise few who have had the pleasure of using the roads here. Although the quality of the roads has improved greatly in the last decade, with the resurfacing of old roads and the addition of new expressways and motorways (a work still ongoing), aggressive and impatient driver behaviour still results in many accidents. Police seem unwilling to control irresponsible driving, and don’t be surprised to see cars shooting through red lights, cutting each other up and staking a claim for the Formula 1 championship. The speed limit is 50km/hr in cities (60km/hr between 23:00 and 05:00), 90km/hr outside urban areas, 120km/hr on dual carriageways and 140km/hr on motorways. Seat belts must be worn at all times and it is illegal for drivers to use hand-held mobile phones. Following the letter of the law all cars should be equipped with a first aid kit, warning triangle, fire extinguisher, rear mud flaps and right and left hand outside mirrors. Flouting the rules will cost you 200zł (for using a mobile), 100zł (not wearing a seat belt) and up to 1520zł for speeding! The legal limit for drink driving is 0.2‰ blood/alcohol level. Put simply, if you’re driving, don’t drink. EU citizens may use their home driving licenses as long as they are valid, however citizens of countries that didn't ratify the Vienna Convention (tsk, tsk Australia and America) will find their licenses invalid (though that hasn't stopped anyone we know from driving their girlfriend's car). Carry your license and passport at all times when driving. Since April 2007 it has been compulsory for headlights to be switched on at all times. Getting in and out of Warsaw by plane improved drastically in recent times. The capital's main air hub - Chopin Airport - got a modern overhaul, while budget carriers moved in at the new Modlin Airport just northwest of the city. That was until winter came and the Modlin runway cracked apart (bravo). It has now finally been repaired, but the wise men at WizzAir prefer to remain at Chopin, while Ryanair recently resumed their flight schedule at Modlin. Stuck in a tin can in a forest somewhere in Poland? Have no fear, there is a large selection of services to choose from so have a look and choose wisely. Warsaw's main train station, Centralna, is a hulking metal giant that sits conveniently in the city's centre and is the main hub for trains arriving in the capital. Additionally, passengers may disembark at the smaller Warszawa Wschodnia (Warsaw East station) between Praga Północ and Praga Południe districts, and Warszawa Zachodnia (Warsaw West station) on the border of Ochota and Wola districts.